Whatever you’re serving or entertaining purposes may be, you will enjoy our Personalized Picture Perfect Serving Tray. We will take any photo you choose and add it to our unique serving tray that makes serving your guests fun. This Custom Serving Tray makes a beautiful gift for any gift giving need. Your Custom Printed Photo Serving Tray measures 8" x 13" and is available in a regal black. Each Personalized Serving Tray requires some assembly. Includes FREE Personalization. 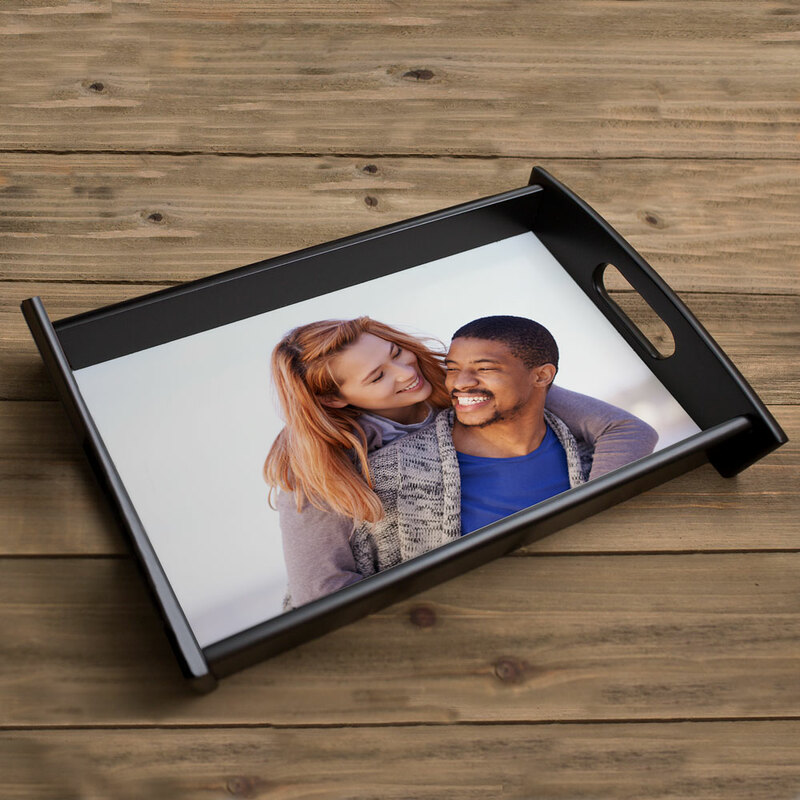 Personalize your Picture Perfect Serving Tray with any Photo Upload. Please enter description of photo. Great product. Beautiful painting. I little small to use for an actual serving tray. It was just as I pictured it to be. this is going to make a great christmas gift i love it and love the site and prices. Additional Details GiftsForYouNow.com has a wide variety of Personalized Digital Photo Gifts. Check out our every growing collection and create your own personalized gift using your digital photos today.